We have had a lot of fun at Halloween. We have no children of our own, but love to have others over. One year we did a Halloween party and started a new tradition. When Fear Factor was on we made a game of it. One of the things we did was put some fake hands, spiders, bugs, eyeballs, etc. into a slime and the kids loved it. Here is how we made the slime. Mix 1 16 oz. box of corn starch with 2 gallon of waters. Bring it to a boil and reduce the heat let thicken some, remove from heat, cool. If you want green slime add green food coloring. If you want deep colors use the cake decorators color pastes. We do not suggest red as it will be too much like blood and not a good idea. You will want to put your stuff in when it is almost cool but still not real settled. You don't want it too thick so if this is real thick mix it with a wooden spoon so that it won't come all out at once. The object is to get an item but as little slime as possible. Make this over night as it will take a while to cool. We let cool some and then poured it into a 5 gallon bucket. If you have one of those plastic witches pots those would be cool too. Here is another great idea for younger children. We did a large party that we used spaghetti for slime but that gets pretty gross. You should cook your spaghetti and add oil to make it so it doesn't stick. Your items will be messy too. You want to chill it over night and keep it cold for a hard to put in your hand experience. Either way you have a neat idea that kids love. If you have a lot of kids, you can use those spider rings, and things of that nature. You might want to hide an item that if they get it, they will get a special prize. 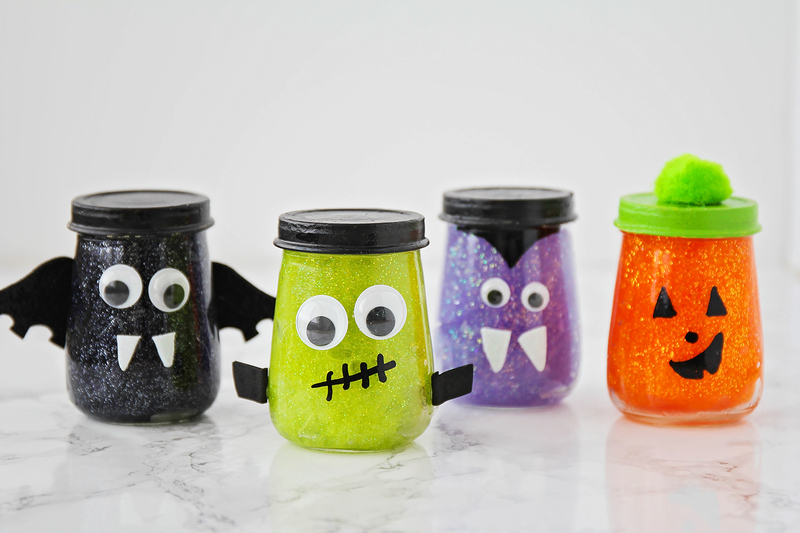 Making slime is an easy, affordable way to keep little hands busy. If you’re a busy parent, grandparent, or caregiver looking for a fun do-it-yourself craft, this one will keep young ones busy for hours. Carefully review the ingredients in any recipe you make. Elements such as borax can cause painful irritation or injury. See Fox 59’s report for more information. Pour shampoo into a mixing bowl.If you are unsure how much to use, start small. Try about two tablespoons to begin. You can always add more later to make a larger batch. Add shaving cream to bowl.You will want about a 1:1 mixture of shampoo and shaving cream. 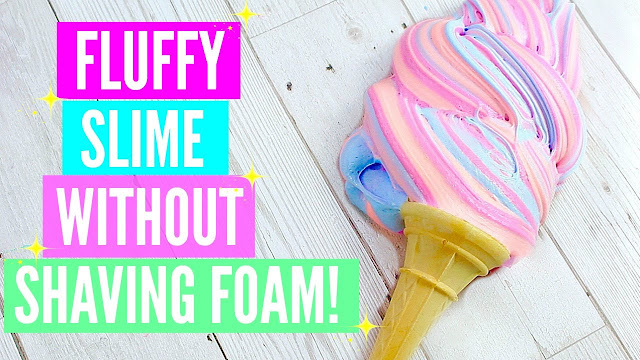 Fluffy slime, sometimes called bubblegum slime, isn't your traditional slime - it's soft, squishy, and fun to play with, while maintaining a solid form. You can stretch it out, squeeze it, and bend it, and still put it back together again. 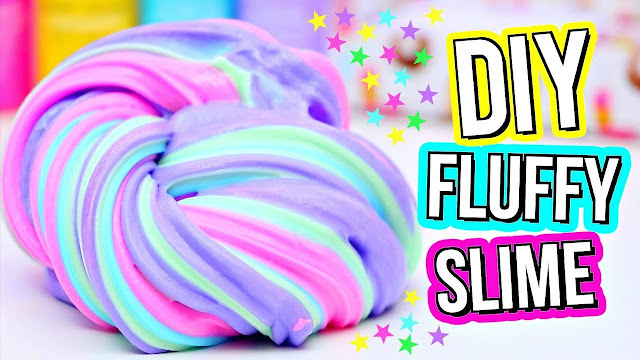 It's a soft slime that isn't nearly as sticky as other types of slime, too! 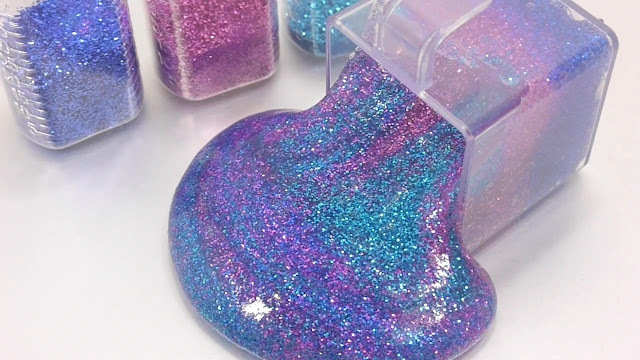 Why not take a bit of time and craft other types of slime too. 1. Start off by making the borax solution. Take 1 teaspoon (4.9 ml) of borax powder and add it into 1 cup (240 ml) of hot water. Mix it until it's thoroughly dissolved and set aside for later use. 2. Pour ½ cup (120 ml) of glue into a separate bowl. 3. Add ½ cup (120 ml) of shaving cream into the same bowl as the glue.